The Albion Quartet are returning for Festival de Sainte-Mère 2019! View the full Festival Programme here. What is Festival de Sainte-Mère? What do you hear when you sit in front of a fine quartet? Is it the same as what others hear or does each person hear the music in their own way? One thing is sure: it helps to be in the right frame of mind, to be in a beautiful area, a fine building, an environment propitious to chamber music and in front of young musicians of energy, talent and ambition, who put their heart into their art in order to take you to the heart of great music. 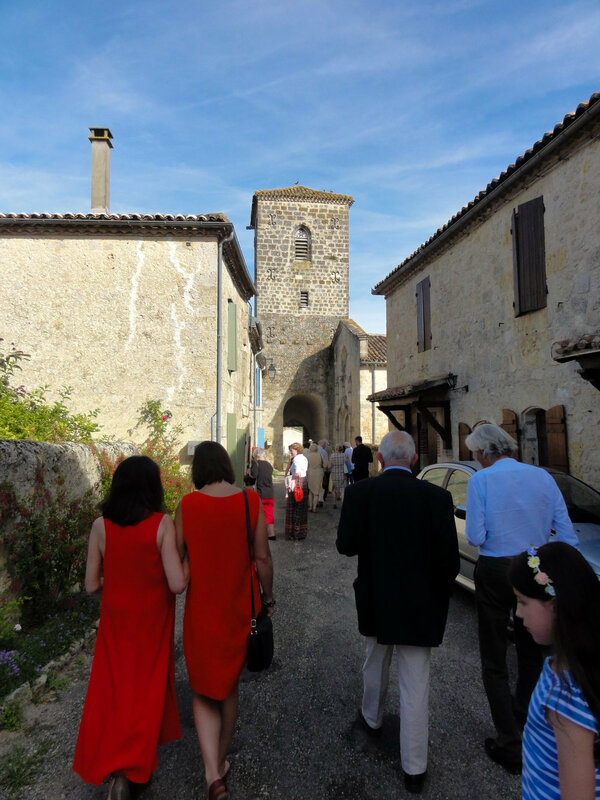 This is what the Festival de Sainte-Mère aims to offer you. Working in the inspiring setting of the château, with the privilege of time to explore and discover the music away from the hectic life of a touring musician, we aim to present unforgettable performances of some of the greatest chamber music in the repertoire in the intimate settings for which it was written – the salons and halls of beautiful historic buildings. Piers Killeen, organiser of Sainte-Mère Festival, has worked for the Canterbury Arts Festival, Buxton Arts Festival, Clonter Opera and Kent Opera, as well as carrying out international research projects for the pharmaceutical industry. Lured by the towers of the Château de Sainte-Mère, the rolling hills they survey and the region’s glorious food and wine, he came to SW France in 2007 from Devon in SW England. Among the golden stones so full of history that make up the ancient châteaux and villages of Gascony, he found inspiring venues for chamber music concerts, intimate settings charged with history and sound in acoustics. As well as fine music and painting, the Greek and Latin classics have long been a source of inspiration and here he continues to enjoy exploring a culture which once united Europe, and was carried, in Medieval times, through France and England by musicians and poets who probably sang in just such châteaux as Sainte-Mère.